Trelleborg Offshore is a leading engineering company that specialises in the development of advanced high-integrity polymer and syntactic foam solutions to seal and protect critical applications, optimising performance in harsh marine environments. 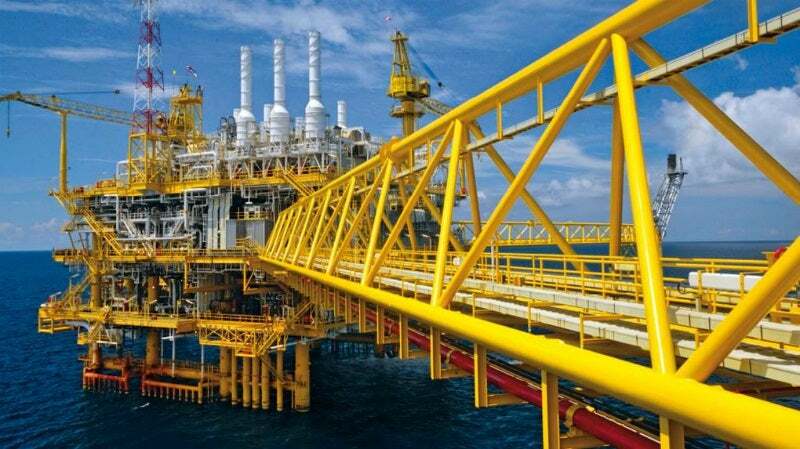 Our cutting-edge innovations are designed to optimise the quality, safety and efficiency of clients’ operations across all segments of the oil and gas industry in a sustainable manner. The increasing reliance on data and product transfer solutions within the offshore industry, and the need for these transfer networks to run through increasingly harsh environments, has led to a demand for advanced cable and flowline protection systems to safeguard against wear and abrasion. Trelleborg’s innovative Uraduct® range has been specially designed to provide reliable, impact-resistant protection for a wide range of subsea flowline systems, including fibre-optic cables, power cables, umbilicals and hoses. Our versatile cable protection products are available in various sizes and may be attached to the main pipeline using an optional clamp arrangement during installation to ensure the secondary lines are adequately supported between the surface and seabed. When flexible tubular systems are connected to a structure, normal operational movement or the application of force during the installation procedure can lead to potential damage at the termination point. Our advanced bend control solutions are intended to mitigate this damage. We provide a range of bend stiffeners and restrictors, as well as NjordGuard™ cable protection system that have been specially optimised for seismic, offshore and renewable industry applications. Trelleborg’s NjordGuard™ for the renewable industry is fabricated from API 17L-certified Uraduct® materials and require minimal assembly. NjordGuard™ can also be easily installed and removed without the need for diver intervention or remote operating vehicles (ROVs). Floating productions in the oil & gas and renewables industries often feature pipelines such as flexible cables, risers and umbilicals that need to be held underwater in specific geometric configurations to prevent over-utilisation. Trelleborg offers an array of standardised, distributed, and rotating buoyancy and buckling mitigation modules to provide vital stability during installation and operation. Trelleborg’s range of subsea buoyancy also includes riser towers, tether bases and midwater arches to ensure the highest possible degree of structural support for clients’ floating productions. Trelleborg’s drill riser buoyancy solution provides buoyancy modules in order to reduce its weight in the water to a manageable amount. Trelleborg’s comprehensive range of drilling buoyancy solutions also includes helically grooved buoyancy for the drill risers, and repair solutions. Protecting on-site equipment and structures allows more time to evacuate personnel in the event of an accident, as well as giving fire services valuable time to control the situation. Trelleborg’s FireStop™ material is able to significantly delay the escalation in temperature in steel structures and can be used in various topside applications to safeguard assets from fire, explosions, collisions and vibrations. Trelleborg’s flexible piping system, Elastopipe™ is made of synthetic rubber and is approved for offshore deluge systems. This robust, low-maintenance solution requires no welding during installation and is available in a fire-resistant (FR) variation for freshwater and seawater applications, as well as a fire and oil resistant (FOR) versions for harsh environments involving hydrocarbons, additives, solvents, hydrogen sulphide and acids. Furthermore, our hand-mounted FireNut™ system delivers powerful protection for bolted connections against jet and hydrocarbon fires for up to two hours, significantly prolonging the structural integrity of worksite structures in critical situations. Trelleborg’s range of Vikotherm™ insulation materials are designed to mitigate the gradual formation of hydrate plugs and wax build-up within offshore structures. Trelleborg’s extensive portfolio of materials,ensure high-quality protection in accordance with clients’ individual project requirements, including rubber, silicone, epoxy syntactic foam, glass syntactic polyurethane and syntactic polypropylene tape, as well as a thermoplastics. Trelleborg is able to deliver hassle-free on-site application of its corrosion treatments, thermal insulation and passive fire protection systems using the company’s Mobile Production Unit (MPU) coating facility. The Åsgard oilfield is situated on the Halten Bank offshore Norway and is the first field in the world to be equipped with seabed gas compressor systems, which are expected to provide a significant increase in power efficiency and safety. Trelleborg Offshore offers a wide range of advanced polymer engineered solutions that have been specifically developed for use in the challenging working environments of the global oil and gas industry. Trelleborg Offshore has more than 40 years’ experience in the development and provision of pioneering polymer engineered solutions for marine drilling and downhole applications. Trelleborg Offshore is a specialist provider of cutting-edge solutions for the marine sector, ranging from buoyancy devices to subsea mooring systems. Trelleborg Offshore is a leading supplier of innovative surface and topside systems and related support services for a wide variety of subsea applications. Trelleborg Offshore is committed to supporting the renewable power market by providing a diverse portfolio of cutting-edge solutions that ranges from robust cable protection systems to effective customised buoyancy products. Trelleborg specialises in the development, production and supply of cutting-edge polymer solutions that effectively seal, damp and protect key assets in harsh marine locations. Skelmersdale-based engineering solutions provider Trelleborg Offshore is set to be recognised with a Gold at the prestigious Health and Safety Awards, which are due to be held by the Royal Society for the Prevention of Accidents (RoSPA) next month. Trelleborg Offshore is delighted to report that Texas-based Diamond Offshore Drilling has agreed to extend Trelleborg's exclusive licence for helically grooved buoyancy technology, which was developed as part of a collaboration between the two companies, until 2029. Trelleborg Offshore is pleased to announce that the company is set to exhibit its new NjordGuard™ cable protection solution at this year’s International Conference on Ocean Energy (ICOE), which is taking place from 12-14 June in Normandy, France. Global marine engineering specialist Trelleborg Offshore is pleased to announce that Ralph Wu has been appointed as the company’s new sales manager for the China region. Trelleborg’s applied technologies division is pleased to unveil its new mobile app, which allows users to automatically track and identify Eccofloat® products throughout their entire service-life, among other innovative features. Leading engineering specialist Trelleborg is pleased to announce the launch of its next-generation Firestop™ material for offshore applications.